The AIRAID Cold Air Induction system delivers higher levels of horsepower and acceleration gains for high-performance gas and diesel vehicles. AIRAID MXP Air Intakes address the issue of the restrictive factory design. Housed inside the air box is an AIRAID premium air filter for outstanding air flow and filtration. Air is directed through a new air intake tube constructed of cross-linked, high-density polyethylene that is designed using extensive computer modeling to maintain proper mass air flow readings and calibration. 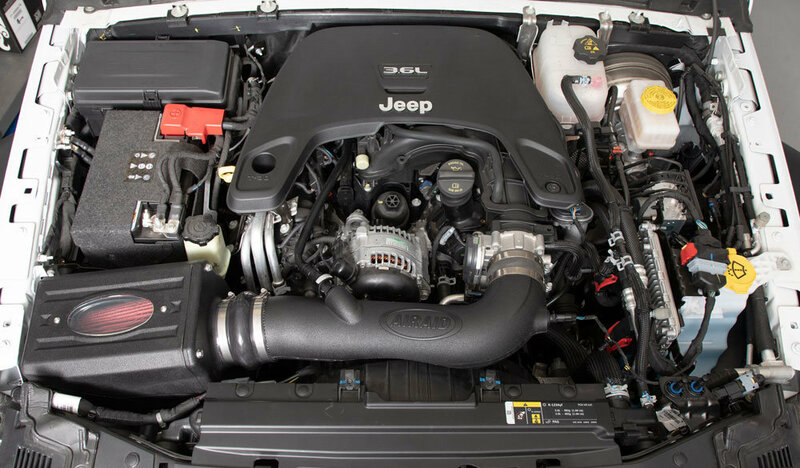 The AIRAID intake system is designed to mount in the factory location of your Jeep Wrangler JL 2 & 4 door models with no drilling required. This means that you get a simple-to-install, yet extremely sophisticated system to increase air flow while maintaining proper air-to-fuel ratios. This Intake kit is Engineered for durability, so you can buy with confidence under AIRAID’s "No-Hassle" Lifetime Limited Warranty. Get ready For More performance out of your Jeep JL with the convenience of a kit that you just bolt on and go! 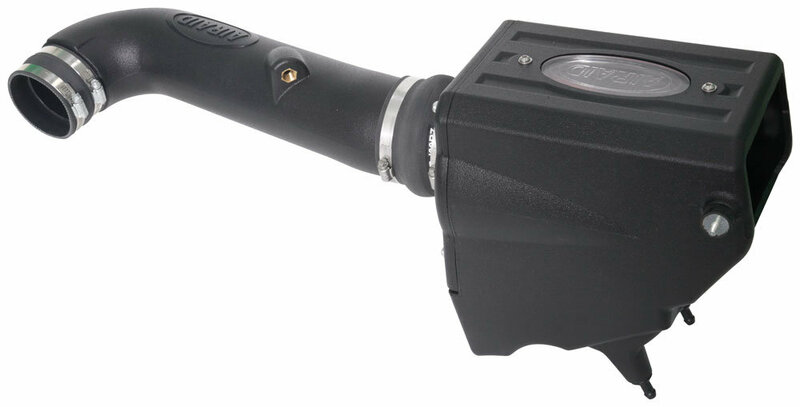 Estimated Horsepower and Torque: AIRAID performs tests to measure vehicle power on a dynamometer before and after an air intake is installed. The Estimated Horsepower Gain is 12 HP @ 5700 RPM. Performance Components: Includes All black components with a Red Air Filter, and Replaces the stock air box, and intake tubing. 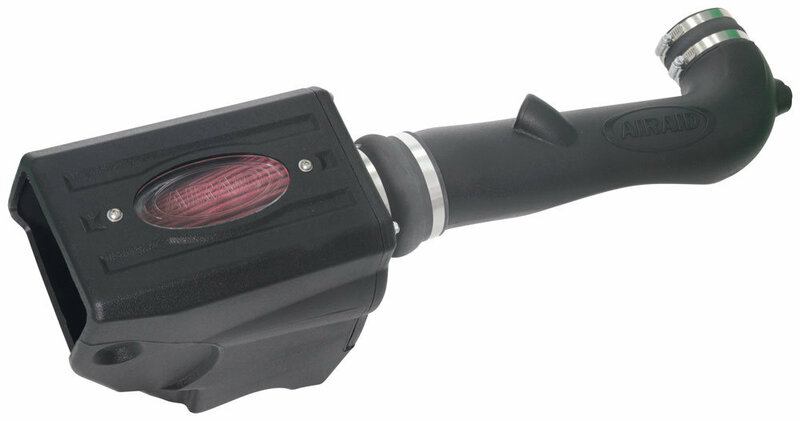 This kit adds a closed air box which will protect the air element filter from hot under-hood air. Washable and Reusable Filter: The High airflow premium air filter which can be oiled, increases airflow and has outstanding protection from contaminants that can cause engine damage and is also washable and reusable.